So this happened today at school. See that gap at the bottom? Wasn’t there this morning. We had him at the dentist about a month ago, she noticed that tooth was just a bit loose, not enough to think about. Over the past 2 weeks, he’s noticed it more and more. At first, he wasn’t sure how he felt about it. We were in the grocery store, and he brings up how the loose tooth means he’s getting older. Which leads him to thoughts of his mortality….asking me if this means he’s getting “old” now with a stricken look on his face…. I promised him at 5 years old he’s still pretty close to brand new, not close at all to getting old. And then came the perpetual tongue wiggling, working at that loose tooth. The inability to chew food for some reason, because now all of the sudden he wants to eat like a beaver. I had to remind him he doesn’t chew in the front of his mouth so it really shouldn’t be a problem. Yesterday night he showed me how the tooth comes all the way up in the back, but was pretty well anchored in the front. I figured we had some time left, and didn’t want to try pulling it and making him bleed or hurt. I was really saving that job for my dad, the family tooth-puller. No matter how many times it happened, he ALWAYS tricked me into “just letting him wiggle it”, which of course led to a quick bloody yank and me feeling tricked and somewhat relieved to have it over. 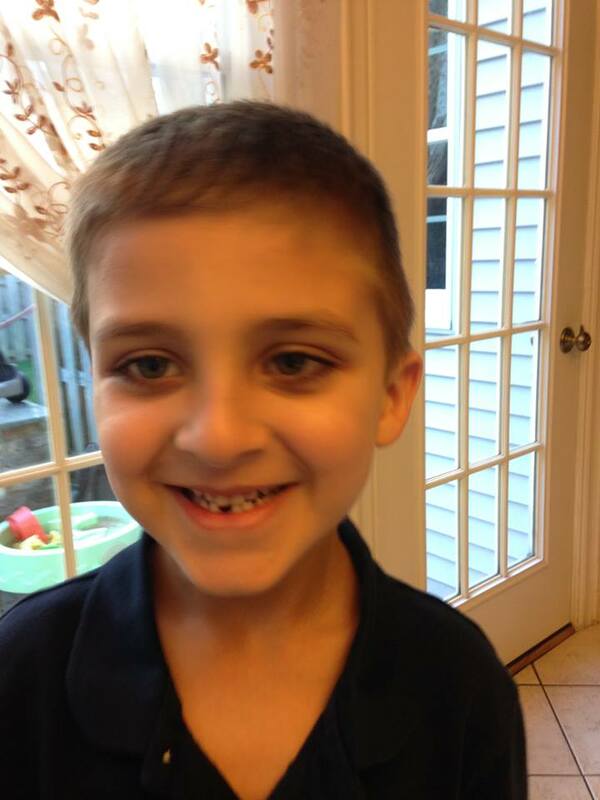 Today, I picked him up from school and I could see the gap as he walked to the car, smiling. Oh No!!! I missed it! I wasn’t there for the first lost tooth! Then I felt even more cheated when the teacher told me the tooth somehow went missing as they were walking outside. They did their best to look for it, showing me two jagged pieces of some enamel colored objects, possibly bits of stone or tooth they managed to find in the parking lot. It didn’t look like the tooth I remembered sitting is his mouth yesterday…. so I let her keep it. He didn’t seem too upset. I didn’t tell him I still have teeth saved from the older kids, and now all I have from him are his first hair clippings. I am sad although future generations will be glad they have one less weird thing to throw out as they sort through my belongings posthumously. But lets look on the bright side. 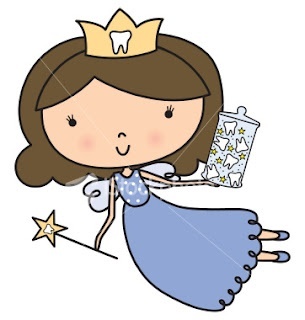 The tooth fairy is coming back from her extended vacation, ready to surprise and delight with gifts of money and possibly little notes of encouragement in exchange for lost teeth. In this case, of lost, lost teeth… she’s willing to cut us a break. This entry was posted in family, humor, kids and tagged growing up, humor, kids, lost tooth, tooth fairy. Bookmark the permalink.